Last edited by Albion; 10-26-2018 at 09:23 AM. 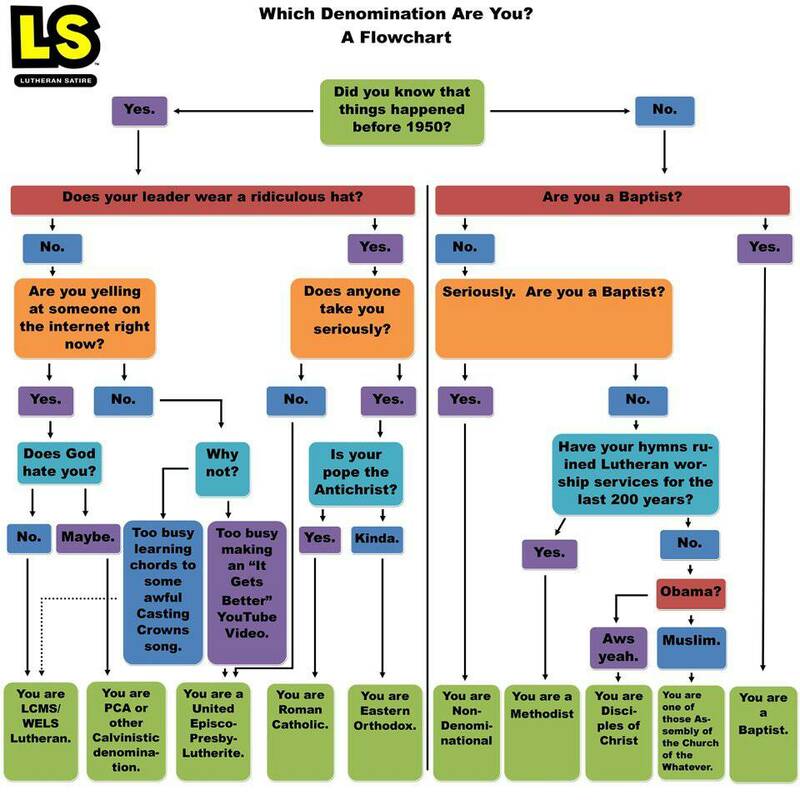 Well, it is a chart produced for Confessional Lutherans, you know, so naturally they are the only ones who wont look silly if the questions are followed to the end. The chart seems to have the Presbyterians a little more liberal than they seem to be as well. The PCUSA has both liberal and conservative congregations. I'm obviously too busy learning some awful cords to some new casting crowns song. Which chart are we talking about now?